Image courtesy Paul Beedle via UU Stock Photo. A flame within a chalice (a cup with a stem and foot) is a primary symbol of the Unitarian Universalist faith tradition. Many of our congregations kindle a flaming chalice in gatherings and worships and feature a chalice prominently. Worship at UUCLV is a time during the week when we all gather under one 'tent.' To worship is to give worth to something; we hold that our shared time together is worthy. We gather and practice being in covenanted religious community. Worship is about making a connection between the world outside and the spirit within. It is song and prayer, silence and recitation, giving and receiving. Worship is a time and place to set down our burdens, rejoice, reflect, and recharge before going out and living into our shared Unitarian Universalist faith. Regular worship services are held each Sunday at 10:30 AM. As Unitarian Universalists, we embrace faith that is ever-evolving over a lifetime. Each of us is called to a free and responsible search for truth and meaning that begins at birth and is fostered as long as we live. 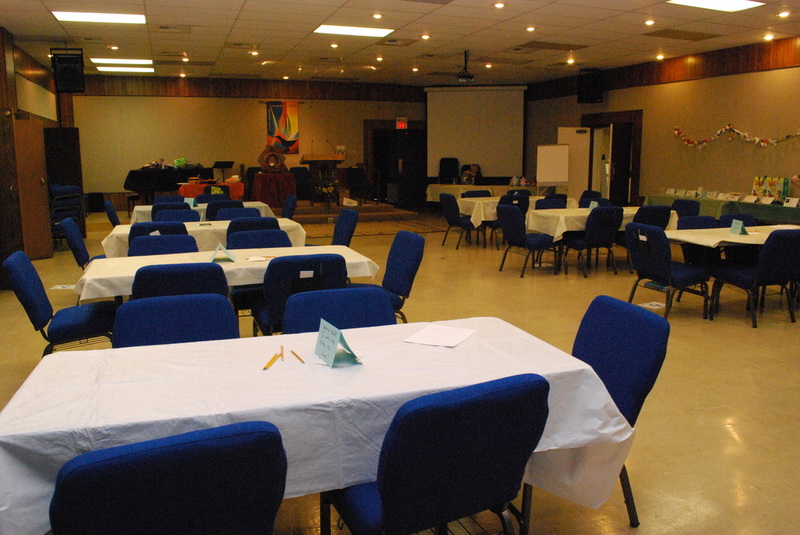 In our welcoming congregation, we seek to support all families and all individuals according to their needs. Our Unitarian roots honor that divine spirit, the great mystery that some call God, as a loving presence in our lives, supporting us all as we make our way. Our Universalist roots affirm that everyone is born into a state of blessing and grace. While our specific beliefs diverge, our shared faith professes that each of us is called to seek truth and meaning and that our journeys are strengthened and enriched in our community of acceptance.